A platform aiming to “fix” early access as a business model launched a Kickstarter campaign about a week ago. It, ah, hasn’t gone over all that well, with developers and lawyers poking holes in their business model and accusing them of copyright infringement. PCGamesN have been in touch with the service, called EarlyNinja, and they’ve given us a statement apologising for and clarifying some of the criticism so far. To learn more about EarlyNinja, their problems with early access, and how they’re trying to fix them, check out our feature. A lead critic was Mike Bithell (maker of Thomas Was Alone, among others), who understood EarlyNinja proposed to withhold revenues from participating developers, only releasing them when agreed milestones were reached, and that. EarlyNinja would ask for 15% of a developer’s revenues for themselves. Bithell credits EarlyNinja with good intentions, and wrote a lengthier blog with some thoughts and advice. There was also concern about the assets EarlyNinja used in a ‘voting portal’, via which they asked their followers to vote for games to bring to their platform. Some misinterpreted this as a claim by EarlyNinja that their games were already on the platform, while Ryan Morrison, the ‘Video Game Attorney’, says it represents trademark infringement. On this last point, EarlyNinja have come back to us with a statement. “It was never our intention to provoke or offend developers by proposing images of their games [their emphasis]. We sincerely apologize for having done this. Our intention was to use the voting portal, which is nothing else than a poll, to gather user preferences on the games they’d like to have on the platform once live. 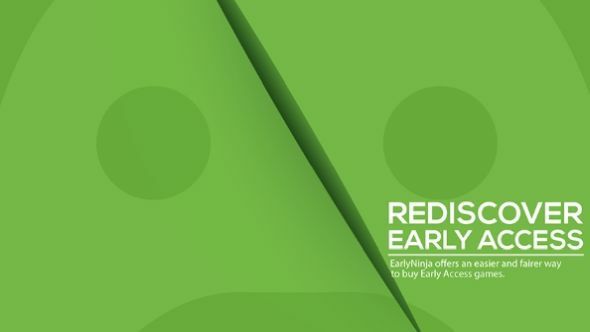 The project’sKickstarterpage also features a number of quotes from YouTubers criticising early access as a model, and EarlyNinja took the chance to clarify these also. For further reading on the fallout from the EarlyNinja Kickstarter, check out the associatedNeoGAFthread, and EarlyNinja’s response to Bithell’s blog.